Race day dawned absolutely SCORCHING! We were down at the track well before the first session, checking the area was clear of snakes ... and getting Nick Kergozou ready for the start of his Omnium, with the Flying Lap first up. And Flying it was! Riding a personal best and coming in 2nd overall, it was a very impressive performance! All of the NZ “Independents” as they call us (we think of ourselves as regions) – have been placed together in the world’s smallest area. But although we are set up on top of each other and literally, if you are not racing in the next hour there is no room for you, everyone is pitching in and helping each other out and there is a good feel in the “independent” pit! 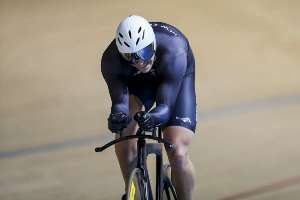 Anyway, Nick’s Omnium Points race was up next, and he looked strong and aggressive, but after going into the ‘red zone’ of lactic acidism after placing second in a sprint, he couldn’t recover in the stifling heat, and fought gallantly for the rest of the race to stay in contention. Gutsy stuff and a great learning experience for him about how your body acts differently in the heat. Nick has been mature beyond his years in his preparation for each race and his recovery protocol after, not to mention great to have around and easy to work with! Top marks Nick! The Team Sprint boys were up next, Karl Watson, Lee Evans and Matt Dodds. And with a really solid and technically perfect ride for the new combination (against very classy competition I should add!). They have set themselves a strong platform to improve upon in the coming months. These boys are heaps of fun and always upbeat and helpful, and it was awesome to see them produce a great ride. Home for a quick break (Cathy was a rockstar and stayed to guard all of our gear in the heat of the Velo) and it was back to the Saunadrome for Nick’s Elimination. With excellent position in the opening laps, an early crash saw the field neutralised (which in an Elimination, means pick up the pace by 3-5kms/hr and get to front!) and Nick found himself jostled to the rear of the field and on the back foot. Another great learning experience for him though and a solid ride in the end in a very edgy bunch. Fellow Southland boys Josh Haggerty and Micheal Culling wearing the NZ skin suit, also performed strongly. Next up for Southland was Steph McKenzie in the 500m Time Trial. FLYING! With a Personal Best of 35.5, and a bronze medal, it really was pretty fantastic! 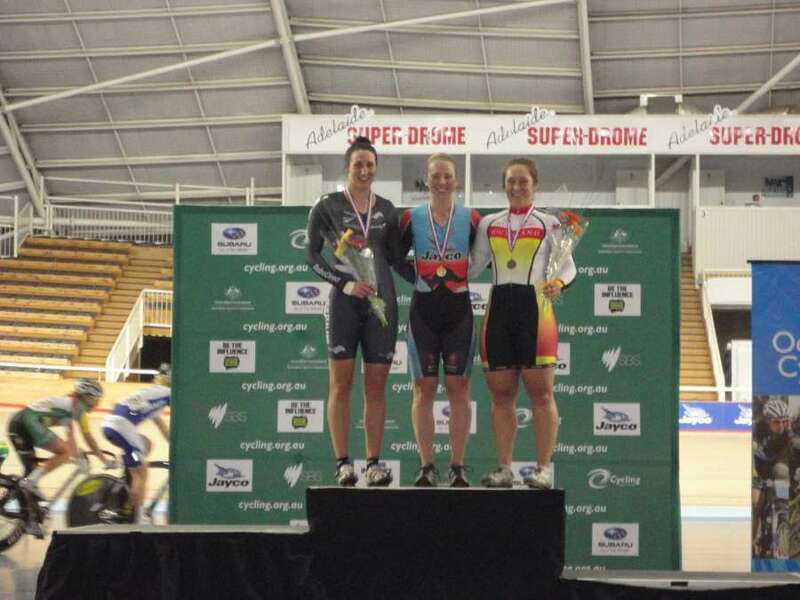 It was awesome to see the Southland skinsuit up on the podium and a great hit out for Stephie before the Keirin and Sprint Events over the coming days. It should also be mentioned that Steph encompasses all of the values we are trying to teach the kids in our age group squads. She is organised, professional, relaxed, cheerful, grateful. And very, very fast! Following the 500m was the Kilo ... and our boy DODDZY was in the Southland skinsuit. With a whopping PB (2 seconds! ), he claimed the bronze medal with a 1.05.3 ... if our arms weren’t so sore from pumping 220 psi into dozens of tyres, we probably would have done back flips! Joining Doddzy on the podium, were fellow Southlanders in NZ skinsuits, Cam Karwowski with the silver and Eddie Dawkins (with a smoking 1.01) with the Gold. What a proud moment hearing the National anthem with those three boys on the podium! After the Kilo was Aimee in the Scratch Race in her first hit out of the meet. With a field full of top Australian representatives, Aimee took it to them and rode with total class! A really impressive, aggressive and gutsy ride and she looked right at home amongst the top notch field. She is ready for a hit out in the Individual Pursuit tomorrow! Aimee has been a fantastic team mate, openly sharing her vast nutrition knowledge, and this has been gratefully received by many of the team. We are very lucky! As well as the Southlanders in the NZ Team that I have mentioned (Mikey, Josh, Eddie and Cam), there were many other Southlanders in action over the course of the day, many of them on the podium - including Piet Bulling (2nd in the Team Pursuit and 2nd in the Scratch Race in a FANTASTIC ride) , Matt Archibald (2nd in the Team Sprint, along with Eddie) Jeremy Presbury (2nd in the U19 Team Sprint), Sequoia Cooper (2nd in the Team Pursuit), Tarsh Hansen (1st in the Team Sprint) and Laura Heywood, 4th in the Team Pursuit and with a great supporting role in the scratch race. And that is about all my tired eyes are going to let me type, so I will sign off here and get ready for another day of it tomorrow. It has been a really phenomenal day of racing and we are very proud to be Southlanders! Team Sprint: Australia (Alex Bird, Peter Lewis, Matthew Glaetzer) 44.066, 1; New Zealand (Ethan Mitchell, Matt Archibald, Sam Webster) 44.451, 2; NSW, 44.851, 3. 3000m team pursuit: Australia 4:02.106, 1; New Zealand (Scott Creighton, Dylan Kennett, Hayden McCormick, Pieter Bulling) 4:10.324, 2. 1000m time trial: Eddie Dawkins (NZL0 1:01.363, 1; Cameron Karwowski (NZL) 1:03.670, 2; Matt Dodds (Southland) 1:05.360, 3. 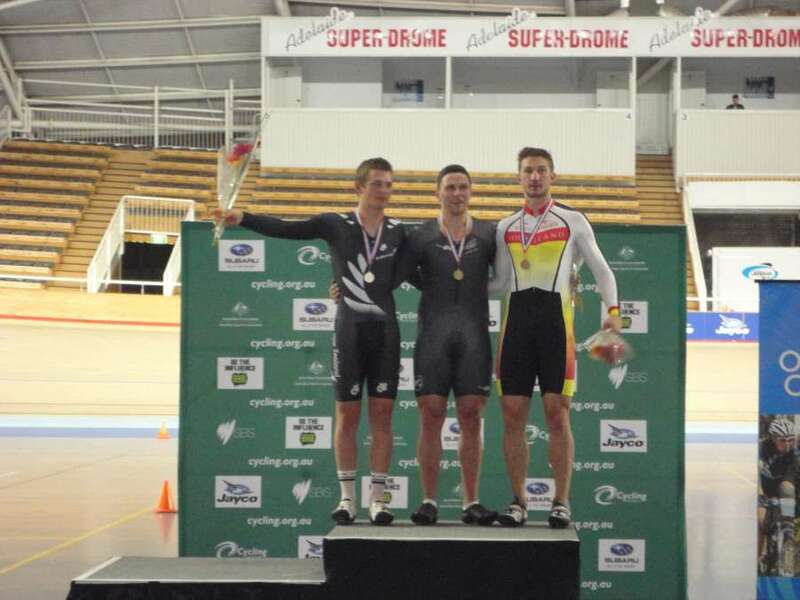 Scratch race 15km: Dylan Kennett (NZL) 1, Pieter Bulling (NZL) 2, Caleb Ewan (NZL) 3. Team Sprint: New Zealand (N Hansen, K Schofield) 34.450, 1; Australia (R Belder, S Morton) 34.622, 2. 3000m team pursuit: Australia (Ashlee Ankudinoff, Annette Edmondson, Isabella King) 3:23.812, 1; New Zealand (Georgia Williams, Gemma Dudley, Alysha Keith) 3:33.100, 2; Australia B 3:27.595, 3; New Zealand Junior (Holly Edmondston, Alice Hay, Laura Heywood) 4:05.600, 4. 500m time trial: Kaarle McCulloch (AUS) 34.260, 1; Katie Schofield (NZL) 35.342, 2; Steph McKenzie (NZL) 35.562, 3. Scratch race 10km: Ashley Ankudinoff (AUS) 1, Isabella King (AUS) 2, Annette Edmondson(AUS) 3. Men 3000m individual pursuit: Jack Edwards (AUS) 3:10.250, 1; Zac Shaw (AUS) 2, Callum Scotson (AUS) 3, Joshua Harrison (AUS) 4. Men team sprint: Australia (Jai Angsuthasawit, Pat Constable, Alexander Radzikiewicz) 46.669, 1; New Zealand (Quinn Karwowski, Jeremy Presbury, Callum Saunders) 47.649, 2. Women’s scratch race 7.5km: Alice Hay (NZL) 1; Samantha Fromentin (AUS) 2, Ruby Greig-Hurtig (AUS) 3.